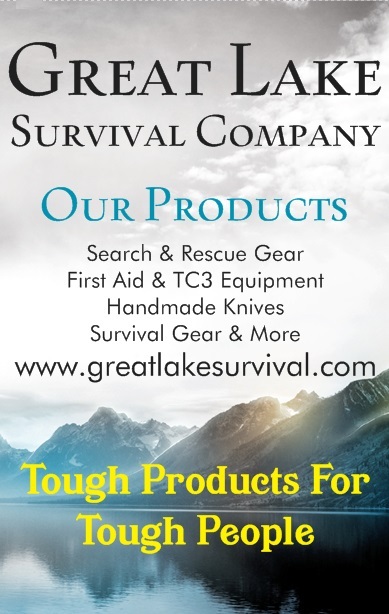 Every now and again, I find a great little survival product on ebay that actually performs like it’s supposed to, is very reasonably priced, and gives you the confidence you’re looking for in a survival product. In this case, it’s a Fire Starter – Tinder that’s homemade by the seller, and sold exclusively on ebay, who goes by ‘halfpint45’. He offers it in several variations of numbers and two configurations. One has jute interwoven and the other does not. They’re extremely light, waterproof, and, if one used an entire piece, would last longer than vaseline infused cotton balls, and are a hell of a lot less messy. I ordered the larger 50 pack of the ‘plain jane model,’ (full disclosure) and included a few of the jute interwoven for me to try out. (Full disclosure – I had told him after the transaction about DTG’s blog and that I was going to do a review, so he threw them in and instructed me to be straight up no matter what I thought.) The waxed jute interwoven into the cotton rope makes this fire starter ‘super charged,’ if you will. I ordered the large lot – 50 of the wax cotton starters for $10.35, shipped – about .20 cents each. Not bad for a supply that size – I might get a couple more for stored preps at that price! He’s also got an option to get 12 with jute, 20 plain, a striker, a ferro rod and 4 feet of waxed jute for $10.97. SHIPPED. In discussion with him, he says he can offer these so inexpensively because he buys all his materials in bulk. Makes sense to me. Now, I’m sure the DIY types can probably make these easily at home if you have the time and don’t mind whatever mess it’ll make, but for me, having them made up and ready to go is worth the cost. I’ve got some now in my ‘get home bag’, my SHTF ruck, my LBE, and my windproof smock. All for under $11. Not too shabby. The one thing I’m doing is in each area I’ve added these, I prep one or two by shredding the ends, so that if I’m in a situation where I need “Fire, NOW!”, getting one lit will be that much faster (I also have several lighters stashed on my person at any given time, so I would go to that first, before employing a ferro rod/striker combo. So, they’re added to my fire kit, along with some very dry red pine slivers, dryer lint, ‘wet fire’ tinder pieces, some magnesium, I’m pretty confident I can get a fire going most ricky tick. All in all, I give this neat little product an AAA+ rating. Check this seller out and get a few; you won’t be sorry. This entry was posted in Op-Ed, Preps, Tools and Equipment on March 24, 2018 by Defensive Training Group. Very cool. I make a product similar to this at home, melting small amounts of paraffin wax and IMMERSING cotton sash cord (window curtain cordage) in the container. Allow a minute or so to become fully impregnated. Pull out with tool (HOT Stuff – use care!) and hang to allow to cool for a few minutes. Cut to shape – approximately 25 will fill a 35mm fllm container. Not my idea – I read this in one of Len McDougall’s books and it works well. Thank you for your review. These look great! I’ll have to get around to ordering some to try out. Just ordered 2 kits after seeing this linked article on WRSA. I am wondering; 1) if anyone has successfully/knows trick to ignite with fire steel and 2) have a similar video of same. BTW, halfpint48, I am a confirmd eBay purchase reviewer 😉 and suggest you put a video in your eBay listing showing how to ignite with fire steel. John was great to work with and FAST! I’d asked him to split the order 50/50 between jute & non-jute, as I was going to split between a couple kits. Before I could answer him that I had other strikers, he tossed in an extra striker anyway. Fine product & great service. Sorry for the slow reply but you cant control your day on a farm. Ref “Donk” request on a YouTube video. A buyer has a review on these. Please check it out. https://www.youtube.com/watch?v=086sBc_9fz0 If this does not work for you just go to eBay and send message and Ill try to help.